Started in 2008, Lingaro is a fast-growing IT consulting and services company, specializing in Business Intelligence solutions. We're working with companies from the Fortune Global 500 list as well as other market leaders based in the USA, Nordics and Poland across different industries such as Consumer Packaged Goods, Banking and Financial Services, Telecommunication and Insurance. 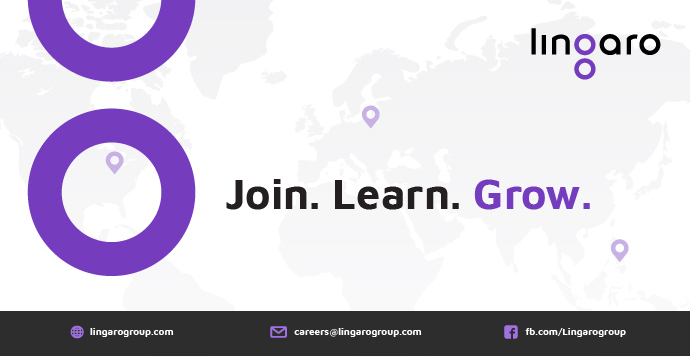 After a decade of success in the digital transformation industry, Lingaro is searching for an enthusiastic Digital Marketing Manager. The role will involve leading our efforts to deliver a consistent message to the market about the benefits of working with one of the most disruptive data analytics innovators. A good mix of strategic thinking and hands-on experience in positioning a company in a market, ideally a technology services market. Strong knowledge of best practices regarding digital content and social media. Experience in a similar position in an IT company with big aspirations and a global presence. Vision to propose non-standard and innovative solutions in an agile environment with a great deal of autonomy. Openness to work in an independent positions in close cooperation with the company’s management and other key stakeholders to deliver outstanding results. A proactive, can-do attitude and a passion for digital marketing. Refining Lingaro’s Group marketing strategy in several countries based on best practices, knowledge, and consultations with key stakeholders. Planning and executing that strategy and assessing its results afterwards. Strengthening Lingaro’s Group online presence via social media and our website. Proposing innovative solutions, building awareness and sharing your passion for digital marketing with other employees. Significant autonomy to help a dynamic and fast-growing company achieve its ambitious plans. An optimistic atmosphere with plenty of supportive and enthusiastic people around you. The choice of an employment or B2B contract along with a competitive benefits package. By attaching your application and pressing the "Apply”,“Apply now” or "Send" button, you are granting the Lingaro Group consent to process the personal data contained in your application documents. Your consent also covers additional personal data, such as your digital photo or interests, not designated in the Labor Code or other legal regulations. Any personal data designated in the Labor Code or other legal regulations, such as your name, surname, professional experience, and educational background, will be processed in accordance with those legal regulations. Please do not include any data in your application that you do not wish to grant the Lingaro Group consent to process. Your consent is voluntary. You may revoke your consent at any moment by sending an e-mail to [email protected].